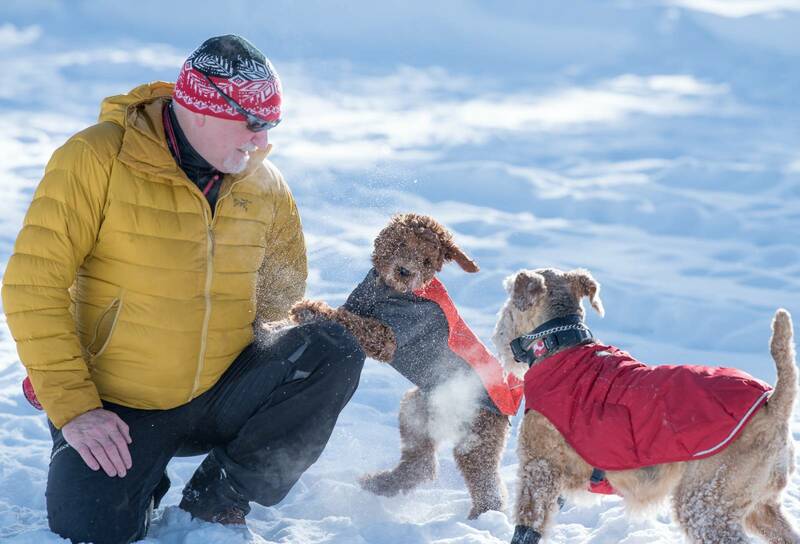 As a Canmore Lifestyle Photographer and Canmore Portrait Photographer, it was a lot of fun to get out and spend some time photographing a few family pets at Lake Louise this winter. These guys absolutely love the snow (and I love my job of photographing them)! Decked out in booties and sweaters to keep them warm, these guys love the snow more than anyone I know, I mean just look at the sheer joy and exhilaration on their puppy faces. 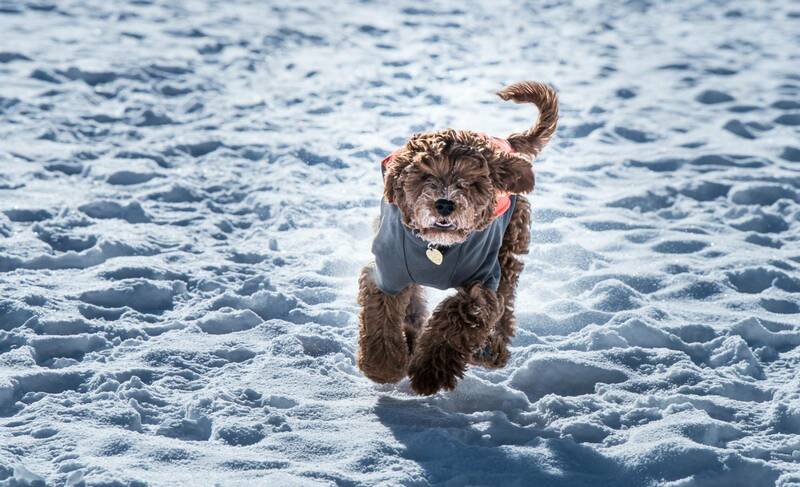 Even as dogs you can see how happy they are running around, they are pretty much the equivalent of little kids on a snow day when school is cancelled. As a Canmore portrait photographer and adventure photographer, I do portraits of people and also pets. I know what you're thinking. Really. Pets???? But let's be honest, pets today, especially dogs, have become de facto children. Scientists are already finding that dog-owner relationships bear similarities to those of child and parent, but people are spending more money than ever on their "fur babies." As a pet owner, I get it and love using our own family pets as my subjects and inspiration. If you'd like more information on pet photography, pet portraits or including your pets in family photos, get in touch with Canmore Photography today. We would love to meet your "fur babies" and create the perfect adventure and setting for your photos.